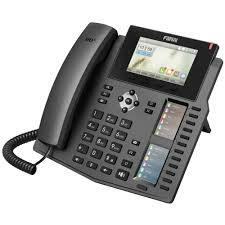 Fanvil X5S is a high-powered business VoIP phone that uses a Broadcom chipset to provide a highly interoperable audio communications solution. 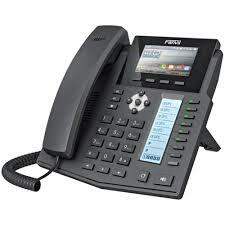 Fanvil X5S is compatible with major VoIP providers, including 3CX, Asterisk and Broadsoft. The X5S features a high-resolution color TFT LCD with four soft keys for selecting context sensitive actions, as well as a secondary LCD that acts to label the feature keys, allowing for easy configuration of quick actions.